I’m not going to lie. This tree skirt was a labor of love. I would work on it for a few hours, then walk away from it for a couple of days. 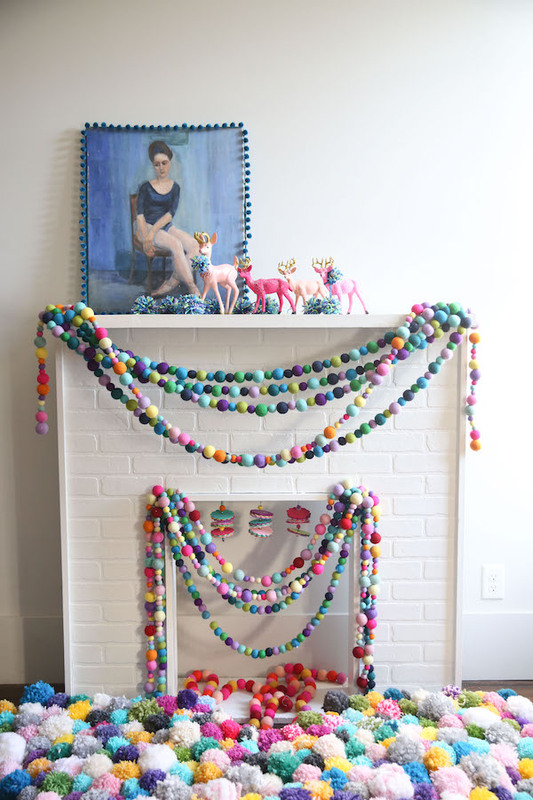 It took around 700 pom poms to make it and by the 200th I thought I would surely throw this thing in the river. 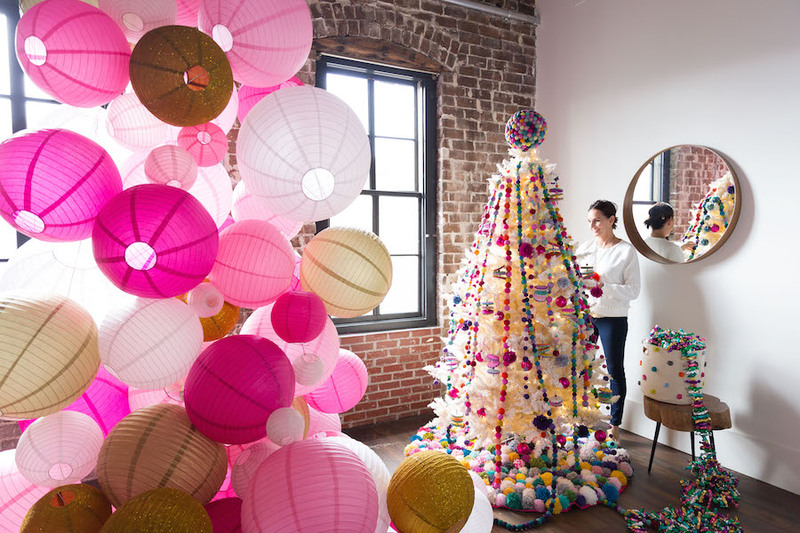 But, as I added each pom pom, the skirt started smiling at me and becoming so playfully beautiful. I was giddy about it and HAD to finish. Four weeks later I did. It could possibly be the most loved tree skirt I have ever made. 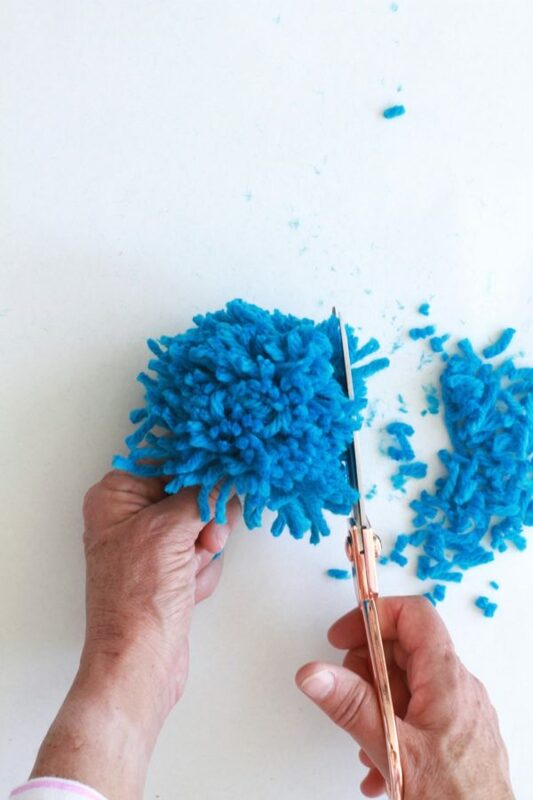 You can find how to make them here! Using a sewing machine (ugh…I know right?!) fold the ribbon in half and sew it along the parameter of the tree skirt. 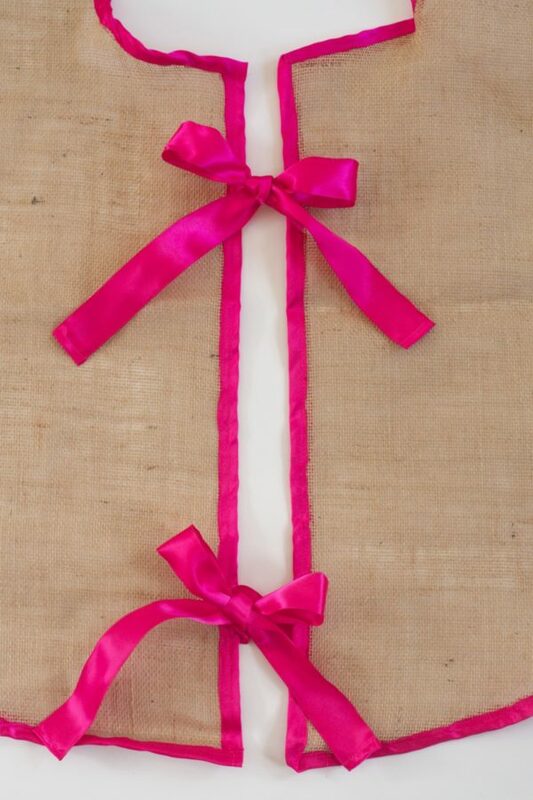 Cut 4 pieces of ribbon and sew them on for ties. You could also use fabric glue here, but I don’t think it works as well. Or, don’t add the ribbon at all. I loved it for a more finished look. 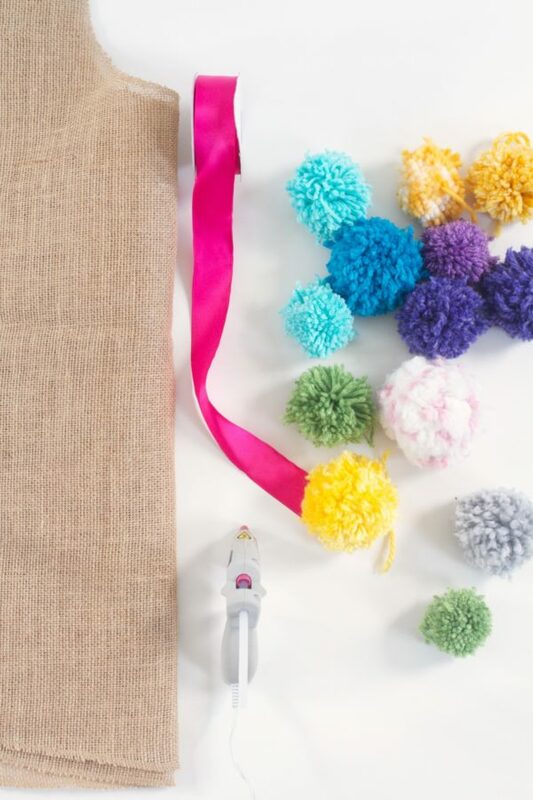 Place the burlap tree skirt over a piece of thick plastic (I used the top of a storage bin) and working one by one in a small area, glue the pom poms on the tree skirt until it is completely covered. This is where you will want to walk away or punch someone a few times, but don’t stop until this is finished! You can do it!! Place tree skirt around your tree, wear outside as a cape (yes that’s a thing), or in the middle of your living room as a comfy floor rug! 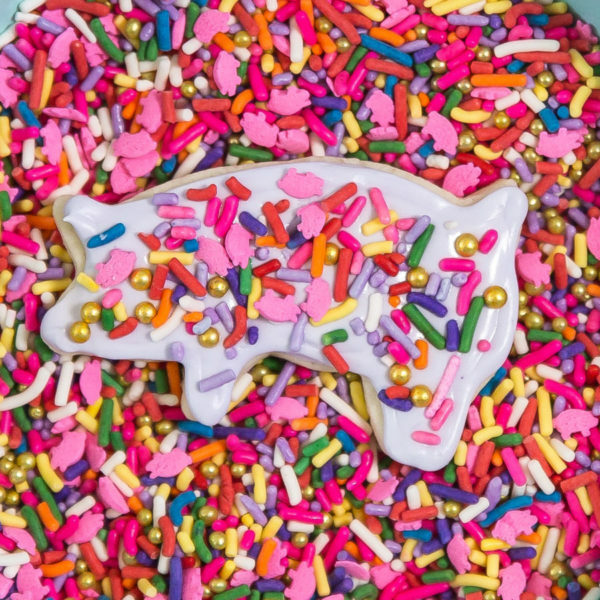 “What goes best with a Pom Pom tree skirt?” Good questions, Hog Wild Sprinkles!!! Get them here! 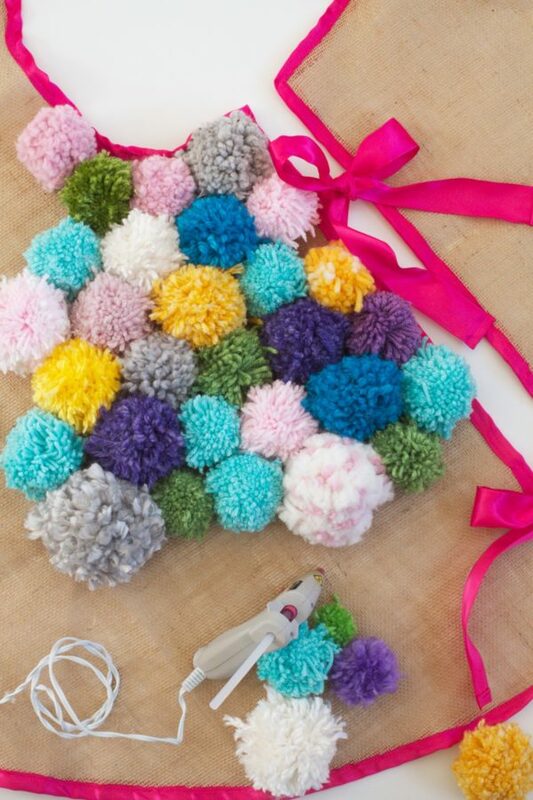 Thank you for sharing my pom pom tree skirt! It was a true labor of love. 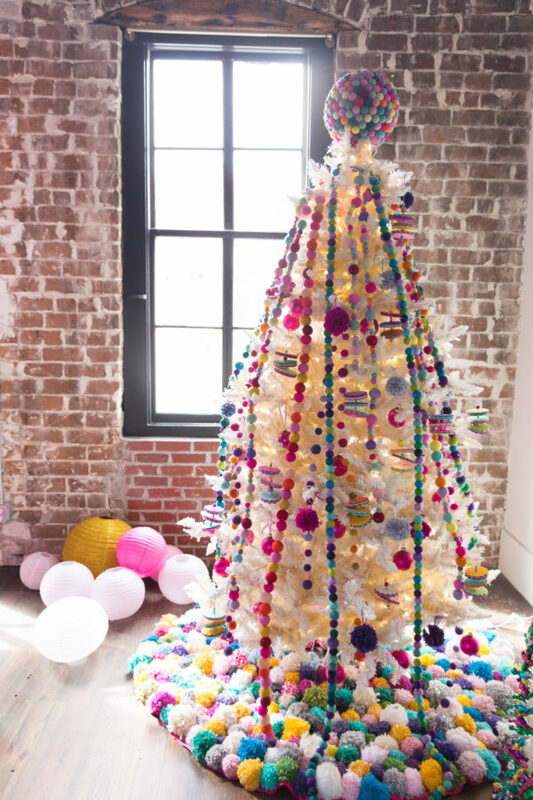 I’m also loving ALL the tree skirts in your post!! !